eg: Michael wakes up and looks for Jason for their first beer of the beer together. Suddenly he realizes Jason died last year. Contest ends on Saturday, February 25th. The contest ends TOMORROW!! If you take part now your chances of winning the TC Shirt #1 are VERY high!! new video by Tiger Crew „BNGR“ soon!! You do not know yet what a BANGER is? Watch the VIDEO, listen to the SONG and FEEL the overwhelming energy of a true TC BANGER!! Rough, rugged and raw, the pure power of the most dangerous animal on the planet, the TIGER and the recklessness you only get to have as a member of a real crew, the TIGER CREW. This BANGER is the creative explosion of a crew with the ambition to convey their spirit into an audiovisual experience. Get ready for BNGR, the latest BANGER by Tiger Crew!! this it not for the WEAK-HEARTED!! BANG your head to this BANGER!! The new BANGER by Tiger Crew by the name of BOOM will be released this SUNDAY!! You can expect EXPLOSIONS so be ready!! our new BANGER „BOOM“ will be released TOMORROW with a SPECTACULAR video!! What do you think about the cover art?? We LOVE it!! We changed the cover art for „BOOM“ to an even more SPECTACULAR cover!! You can see a TC member (for the TC enthusiasts: yes, it is Kenny) at the mic, ready to deliver this BANGER!! „BOOM“ is released TOMORROW along with the EXPLOSIVE video!! How do you like that?? BOOM!! 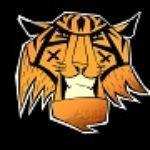 Another BANGER by the infamous Tiger Crew!! This song is banging so hard it leaves the whole place WRECKED, so watch out when listening (not recommended to listen to via headphones)! !